A second lakefront property has sold on Delavan Lake this year. The slow sales start received a little push from the sale of a five-bedroom cottage located on South Shore Drive. Situated on 75 feet of prime lake frontage, the cottage is built on a crawl space, and was in need of many updates. 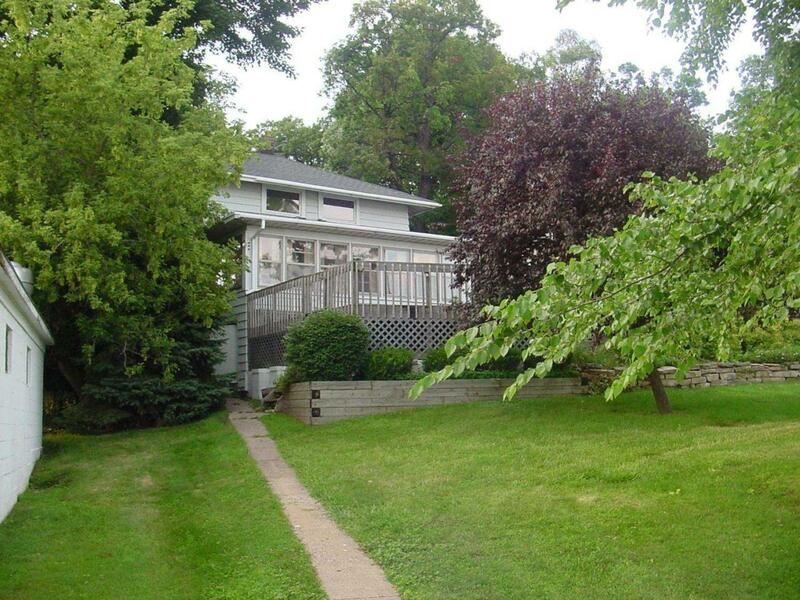 The most redeeming feature of the property is its large lakefront deck. Covering most of the width of the house, the deck offered a screened-in view of lake activity throughout the seasons. The property closed for $605,000 on 2-9-11 after starting on the market for $1,150,000 back in June of 2007. With 2007 being the high water mark for prices, and prices falling 30 since that time, it appears as though this one may have been priced a little high from the start. January was a slow start for Delavan Lakefront properties. 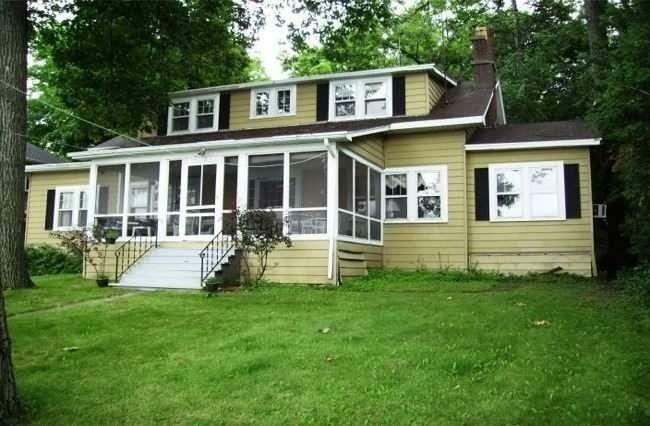 The only sale we had was a foreclosure on North Shore for $525,000. There were not any lake access sales and no lakefront or lake access condominiums sold. Walworth County, as a whole, fared better. There were 65 sales in January of 2011 compared to 45 sales in January of 2010. The median sales price fell, however to $141,000 from $165,000. The starting point for a Delavan Lakefront property has dropped below $400,000. As attractive as that sounds, the latest offering, at $389,000 will buy you a total of 12 (Yes, a dozen) feet of lakefront. Squeezed into a pie-shaped parcel, this three-bedroom home on North Shore Drive, does have a large front living area with surprisingly panoramic views of the main part of Delavan Lake. A large lakefront deck and detached 2.5 car garage add to the value making this an affordable get-away with a private pier and limited upkeep. Activity has picked up on Delavan Lakefront Properties with the first sale closing on January 28, 2011. 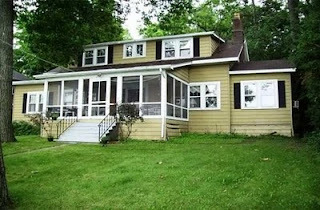 The sale of the property at 2911 Alpine Lane, just off of North Shore Drive, featured a remodeled three-bedroom lakefront with 60 feet of level frontage and a large deck. Perhaps most important, it was the first foreclosure to sell on Delavan Lake since a four-bedroom home on the outlet early in 2010. Foreclosures are rare on Delavan Lake. When they do come on the market, they are usually bid on aggressively with the sale being completed for above the listing price. This was the case with the property at 2911 Alpine Lane. The property came on the market for $459,900 (which was a huge discount from the assessed value of $703,000) and sold for $525,000. That's a 14% increase over listing price. This also happened with the foreclosure on the outlet last year. It too sold for more than the listing price. Both properties also had multiple offers from interested parties. As for other lake activity... there are at least two other properties with accepted offers, showings are up, and only a snow storm will be able to slow things down.